Bali Swing and Ayung Rafting is great Bali combination tour package which is Bali Swing is a new activity in Bali island and one of best tourist attraction that you have to do when in Bali island. 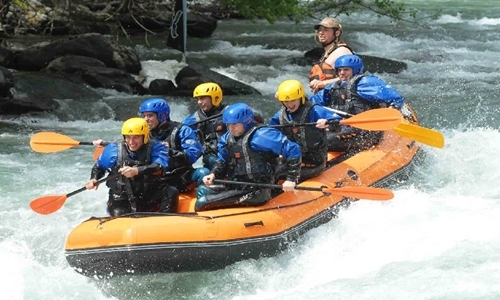 On this tour itinerary start at 8 am from your hotel and then go to Ayung River for 2 hours rafting adventure. At 12:00 finish for rafting and then enjoy your lunch which is already included on this package and will serve after rafting adventure. After that our tour guide will drive you to Bali Swing which is located in Tegalalang Village. 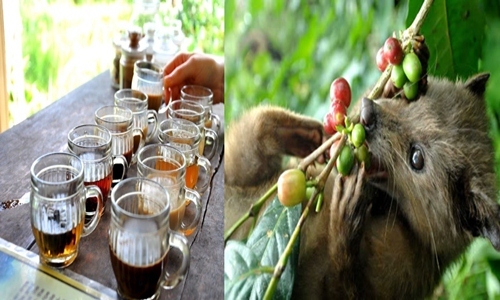 On this place you will see how to make a coffee with with traditional proccess and you can try more than five type of coffee and the best coffee product namely Luwak Coffee which is popular with best quality, if you are coffee lover must try this. 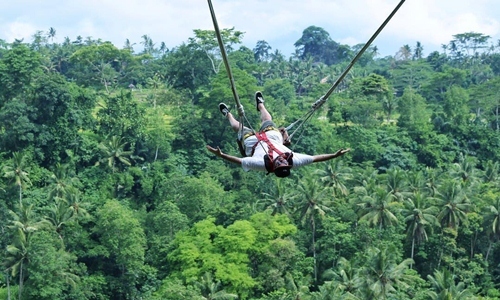 After that start for test your adrenaline again for Bali Swing. Our tour itinerary has been designed based on our experience and our customer demand, however we are most welcome if one of you wish to add with other tourist activities or adjust and change with other activities is happy to fill your inquiry. Please contact us now for best arrangement.